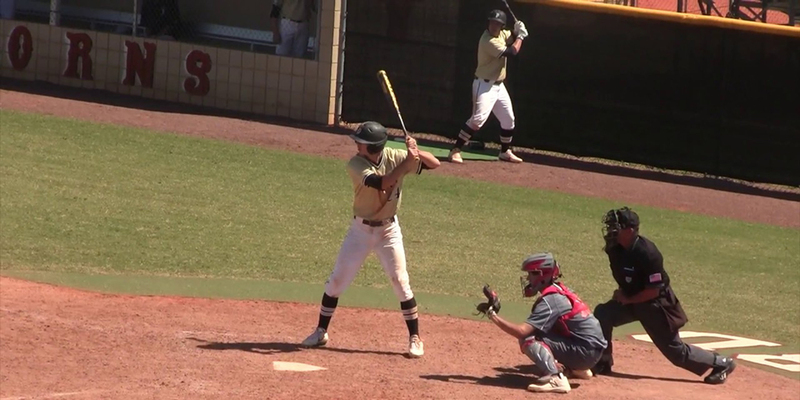 Next up in our MLB Draft profile series is one of the most intriguing prep bats available in Connor Scott from Plant High School in Florida. As you can tell by the rankings, Mr. Scott is a little more highly regarded than Parker Meadows, the first subject of our MLB Draft profile series. But there just enough question marks about his ceiling and signability that it might push him down some draft boards. Scott is oozing with projectability, as he’s far from being filled out physically and has the potential for three plus or better tools. Despite some minor injuries this spring, he has still given scouts a lot to talk about. He has a quite approach at the plate and a quick load that helps him get the bat through the strike zone quickly. He flashes plus-bat control and should be a high-contact hitter in the pros. His weakness at the plate is the fact he doesn’t incorporate his lower-half as much as advanced hitters do. That’s why his power potential is just that — potential. But with some professional instruction, he could get some more umph into his swing, possibly leading to more over-the-fence power. He has some natural loft to his swing, so once he matures physically and as a ballplayer, the sky’s the limit. Despite having legitimate 70-grade speed, he’s still a bit of a work in progress on defense. His routes need work, but he’s athletic enough to at least be given a chance to stick in center field. If he has to move to a corner, he has plenty of arm for right field. That’s because some teams like him as a pitcher. He has touched 94 MPH on the mound and pairs it with a curveball. We know the Dodgers like versatility, and Scott having that in his repertoire could only be a good thing. Videos courtesy of Vincent Cervino, 2080 Baseball, FanGraphs and Baseball America. The in-house comp to Scott would probably be Alex Verdugo, if you take out the double-plus speed (and their statures are different). But the common comp that’s put on Scott is Astros’ top prospect Kyle Tucker, who is also an alumnus of Pant High School. Scott is a prospect scouts have a hard time agreeing on in terms of draft position. Some think he could be a Top 10 pick, some think he’s more of a late-first/supplemental first-rounder. We’ll see what happens come draft day, but if Scott is there at No. 30 and the Dodgers don’t mind going a little over-slot to sign him, he’d be a fantastic selection.